Japanese designs have always been something I’ve enjoyed – there is a peacefulness to the designs, within highly intricate patterns. 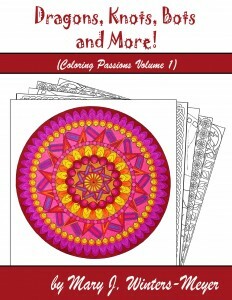 This entire book contains over 100 patterns, repeating designs and individual artwork for you to color. Dragons, koi, fans, parasols, flowers, ocean waves, bamboo, cranes, and many other designs fill the pages of this smaller than average book. At a slim 7.2 x 9.5 inches, it’s a great size for traveling. The designs printed on both sides of the page means that they’ve fit an awful lot of designs into a small package. Of course, the two-sided nature of the book also means that you have to be careful which media you use to color the designs! 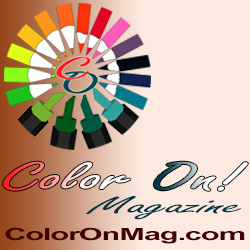 If you enjoy Japanese designs, and like to use colored pencils or pastels for coloring, you are sure to like a large number of designs in this book. 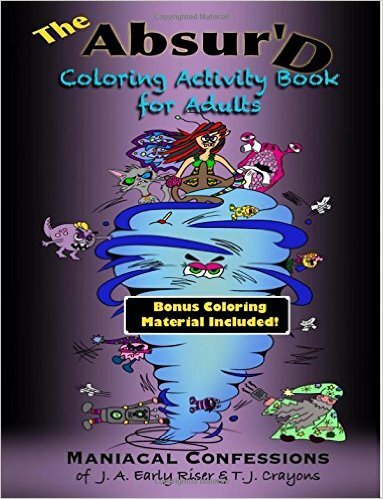 If you prefer using markers, then this book may not be for you.